Improving communication skills, one newsletter at a time. 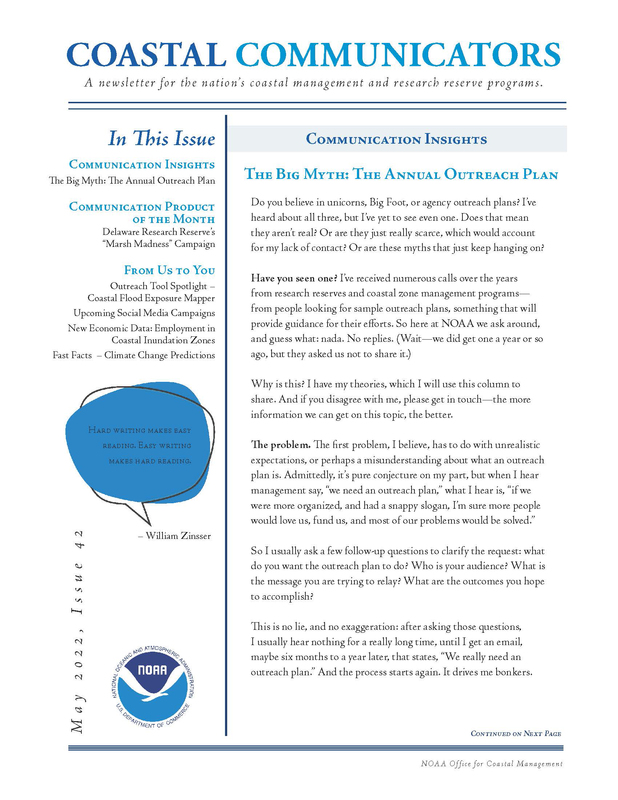 Coastal Communicators is a monthly newsletter for the nation’s coastal management and research reserve programs. Note: Viewing the PDF files linked from this page requires the use of a plug-in such as the Adobe® Reader®. If you do not have such a plug-in already installed, you may download Adobe® Reader® by following the "Get Adobe® Reader®" button link below.